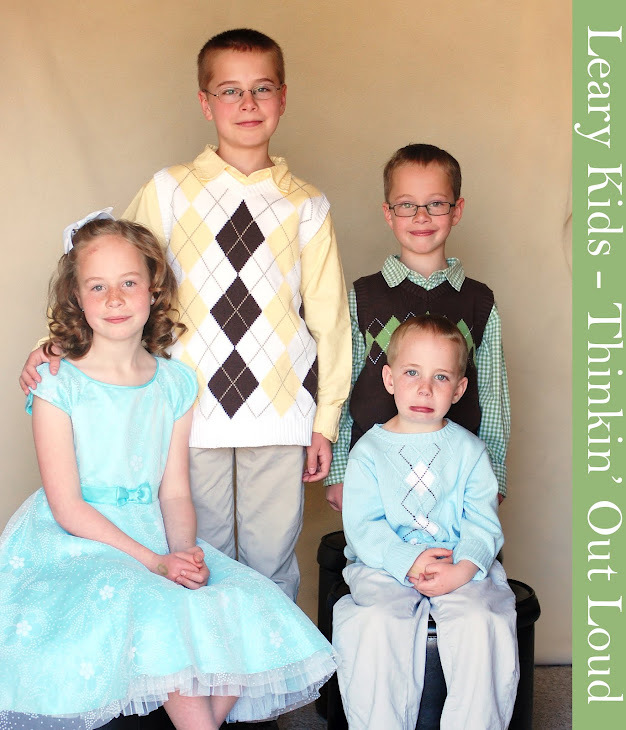 Leary Kids - Thinkin' Out Loud: Save it. Yesterday I put some pattern pieces in a page protector. Ellis saw and said, "Is that so you don't lose it?" I told him that it was and he said, "I should have put Frankenstein in one." I asked Ellis if Frankenstein was lost and he said, "Yes because I didn't put him in one of those things."